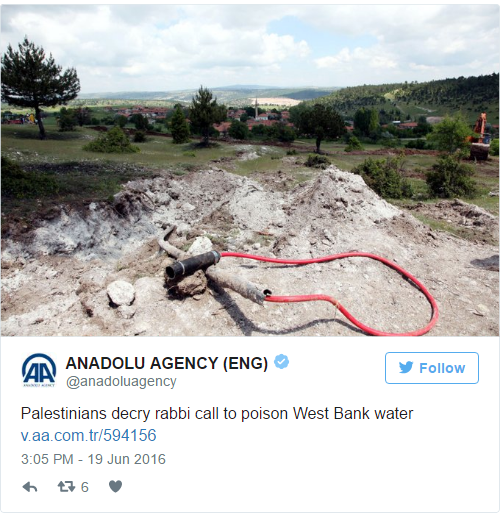 The Palestine Liberation Organisation (PLO) has denounced a religious decree made by a prominent Jewish rabbi allowing Israeli settlers in the West Bank to poison Palestinian water sources in Palestinian towns in occupied West Bank. The PLO described the decree as “an order to kill”. This call is not the first of its kind. Price tag Jewish groups have waged dozens of attacks against Palestinians, uprooting their trees, burning their houses and destroying their places of worship. 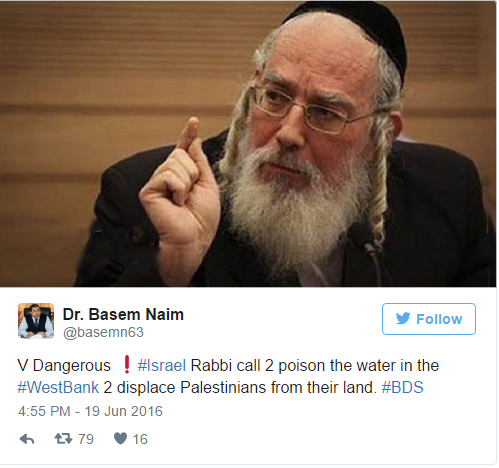 Rabbi Shlomo Mlma, chairman of the Council of Rabbis in the West Bank settlements, has issued an ‘advisory opinion’ in which he allowed Jewish settlers to poison water in Palestinian villages and cities in the West Bank. 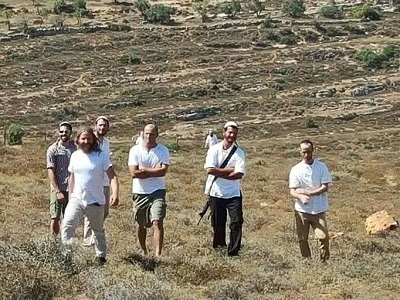 Israeli organisation “Breaking the Silence”, stated that the call for poisoning Palestinian water aims to push the Palestinians to leave and pave the way for Israeli Jewish settlers to take over their lands. The PLO refused to engage in future talks with Israel until it stops building more housing units on what Palestinians consider the land for their future state. “This is an incitement and a call for killing the Palestinians,” Wasil Abu Youssef, a member of the PLO Executive Committee, told Anadolu Agency on Sunday. He said such opinions by Jewish rabbis “prove that Israel is not a real peace partner”. “Dozens of similar orders were made by rabbis that called for killing Palestinians, robbing their lands and farmlands and destroying their property,” he said. Some 500,000 settlers live in the West Bank settlement. The international community regard the Israeli settlements in the West Bank as illegal. The Israeli government allocates hundreds of millions of dollars annually to expand settlements at the expenses of Palestinians and their resources. 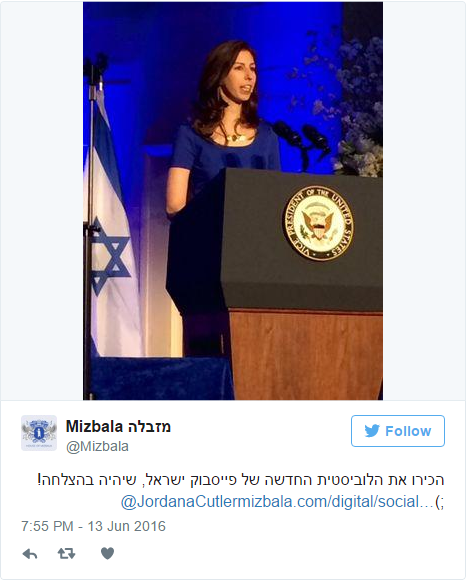 Binyamin Netanyahu’s longtime senior adviser Jordana Cutler has been named as Facebook’s head of policy and communication in Israel’s latest bid to tackle the BDS movement online. A longtime senior adviser to Israeli Prime minister Binyamin Netanyahu has been appointed as Facebook’s head of policy and communication in the latest cooperation between the social networking site and the Israeli government to tackle the BDS movement. “We will use legitimate democratic tools to fight this battle. We will make companies shift from being on the attack against Israel to the defence of protecting themselves,” he added. But the Jewish state has since been troubled by the wide growing popularity of the movement, whose latest campaign Tov Ramadan raises awareness on Israeli settlement products and encourages people breaking their fast during the month of Ramadan to boycott them. The Israeli regime’s siege of the Gaza Strip is going to be further concretized with a 96 km wall that will stretch across the border surrounding the enclave. Already, Palestinians in Gaza are suffering under a blockade that is slowly draining their resources and has stretched thin their livelihoods but clearly this is not enough for the Israelis. Israeli newspaper Yedioth Ahronoth has recently revealed that Tel Aviv is planning to build a massive concrete barrier which will extend both below and above ground under the pretext of preventing Hamas-built tunnels from crossing into the occupied territories. The project is expected to cost US$568 million. But the price for the Palestinians will be much higher. Indeed the plan will be financially costly for the Israelis but more so for those trapped in Gaza. In February, Israeli Prime Minister Benjamin Netanyahu vowed to construct barriers all around the occupied territories that are claimed by the Israeli regime. The “beasts” he mentioned, however, are the victims of the Israeli occupation and constant aggression. If the Palestinians are “beasts” as Netanyahu and many other Israelis proclaim, then they are only of their own creation. Symbolically, the wall will stand as a representation for what the Israeli regime means to Palestinian lives. It is a barrier that separates them from their dreams, freedom, and rights. It is also a concrete manifestation of the Israeli-imposed siege as it blocks their way to the outside world and vice versa. The blockade has been in force for 10 years and has exacted a hefty price from the Palestinians on economic and humanitarian levels. On top of that, Israeli wars on the strip have caused extensive damage. More than 2,000 Palestinians were killed in the latest war, thousands were left homeless and destitute while the blockade further aggravated the situation in the aftermath of the conflict. To this day, Palestinians in Gaza bear the brunt of these wars. This would not be the first wall to surround the Gaza Strip and it definitely does not overshadow the existence of the Apartheid Wall that encloses the West Bank. Yet the blame is always on Hamas, the armed Palestinian resistance group that has refused to acquiesce to the Israeli regime and remain a passive element in the Palestinian fabric. The Israeli regime continues to plan wars, impose restrictions, and build barriers in a bid to bend the Palestinians’ resolve. However, every time they tighten the noose thinking this time it will work, they end up being disappointed by the Palestinians’ determination so they step up their measures and raise the walls a meter or two higher. Inevitably, Paris impotently administered CPR to the dead two state solution, tokenly stated that the status quo is not sustainable while maintaining the status quo, purposely minimised criticism of Israel, mouthed empty alarm at the violence on the ground, dodged the Right of Return, fantasised about a mythical peace à la Arab Peace Initiative. A further dead giveaway of the inanity of the Paris pretence. was its acknowledgement of the key role of the failed quisling Quartet. And Paree was flush with anti-Palestine quislings. Of the 26 countries represented, 11* have not recognised the State of Palestine. The host, yes, was the very same France that has no diplomatic relations with the State of Palestine, and is tied with Germany as ‘Europe’s largest exporter of arms to Israel’ (Halper). Not one French bullet nor air-to-ground missile, not one Rafaele fighter jet, nor Mistral helicopter carrier was sold to Palestine. In 2014, during Israel’s monstrous assault on Gaza, France was the first in the world to ban pro-Palestine rallies, even posting details of rallies could incur a year’s imprisonment or a 15,000 Euro fine. France has criminalised BDS under the Lellouche law as an incitement to hatred and anti-semitism which violates the right to freedom of expression once defended popularly and hypocritically by the Charlie Hebdo issue. The Arab turncoat delegation included the Arab League, Saudi Arabia (of killing Yemeni children and bombing MSF hospital fame), Egypt, Jordan, Morocco all of which are US pawns thereby no friends of the Palestinian people. The Saudis are France’s top arms client and Jordan, UAE and Egypt (plus Israeli defence Minister Avigdor Lieberman) are manoeuvring for Death-Squad-Dahlan to succeed Abbas ignoring that prison not presidency is Dahlan’s rightful fate. The PA, intimately familiar with Western and Arab quislings, knew the French farce was doomed to fail the Palestinian people, though cynically on cue Mansour, Erekat, Ashrawi, al Maliki moaned and shed crocodile tears. Yet, a few days before Paris, on 28 May, at the Arab League meeting in Cairo, Abbas agreed in principle to land swaps which he knows areillegal even though there’s precious little left of Palestine to swap thanks to years of two-state negotiations that Abbas and Netanyahu are keen to resume. Abbas knows that for 100 years to this very day (and beyond ) the Zionist goal, which has never been compromised, is a Zionist state on the whole of Palestine. It is this goal that drives the settlement facts on the ground rendering the two state solution an illusion, a deception. A pan-Palestine BDS joining Palestinians inside historic Palestine with the 6.2 million free diasporan Palestinians, in the spirit of the Palestinian ‘rejectfenchinitiative’ , could achieve what the PA/PLO has abrogated. Tripoli (AFP) – The Islamic State group tried Sunday to break a siege on their last holdouts in Sirte but were pushed back by fighters allied to Libya’s unity government, a spokesman said. IS fighters have been pinned down in parts of Sirte since forces allied to the UN-backed Government of National Accord (GNA) launched an operation to dislodge them from the coastal city last month. On Sunday pro-GNA forces said they clashed with the jihadists who had launched a bid to break away from positions west of Sirte using “medium-sized” weapons. “Our forces confronted them and forced them to retreat,” spokesman Reda Issa told AFP. “Two of our men were killed and five wounded” in the clashes around the Al-Ghrebat sector of Sirte, he said. Jihadist groups took root in Libya in late 2014, taking advantage of the chaos and power struggles that followed the NATO-backed uprising that toppled and killed dictator Moamer Kadhafi in 2011. The pro-GNA forces launched an operation to drive IS out of Sirte on May 12. Last week they imposed a siege around the Mediterranean city and advanced into parts of it but the operation has slowed down with jihadists holed up in residential areas. “The pro-government forces are advancing cautiously because IS fighters are barricaded inside homes and we are trying to avoid using heavy artillery to spare civilians who could also be inside,” said Issa. IS has counter-attacked during the past week, including with suicide bombings that have killed at least nine pro-GNA forces. Issa said the pro-GNA forces were now focused on trying to “bolster their positions on the outskirts of Sirte to reinforce the siege and provoke IS fighters to come out of hiding”. At least 166 pro-GNA forces have been killed and more than 500 have been wounded since the assault was launched last month, according to an AFP count based on reports from medical officials. No casualty figures are available for the jihadists in Sirte, 450 kilometres (280 miles) east of the capital. US officials estimate IS has 5,000 fighters in Libya, most of them in Sirte, where the remaining civilian population numbers around 30,000. SNHR issued a research of “the responsibility of the United Nations for the siege of civilians in Syria” which documented the death of 792 individuals due to the siege in all areas by the Syrian regime and ISIS. The report methodology depended on the accumulated data since 2011 until now as a result of daily observation from SNHR team for the displacement caused by the bombardment and destruction, and through the network of relationships with local communities, medical and media cadres, and the possession of the lists of the victims’ names, photos, and details of the deaths, the names of witnesses and whereabouts. Moreover, SNHR have encountered difficulties that increases every year such as turning off the electricity and telecommunications, threat to security, difficulty of transportation, and the cases of frustration prevailing in the Syrian society. The report described the siege in Syrian from the definition of the International Humanitarian Law, where the region is considered besieged when the military forces close the crossings, and prevent the accessibility of civilians, the sick people, the food, and medicine. “The siege has led, in addition to the continuous starvation, bombardment, massacres, and the stoppage of the economical as well as the social life, to the displacement of most of the people in the besieged areas and a number of them paid large amounts of money to smugglers in return for getting out of the “hell”, and this resulted in a change in the structure of these societies continuously, and make it cash free, which leads to the spread of chaos in order to stay Alive; these are some of the objectives of the siege by the Syrian regime, and some of them were implemented up on a sectarian background”. The report pointed out the consequences of the siege including a murder as the greatest violations among all. Thus, Syrian regime has applied the siege policy systematically, thoughtfully, and for a long-term, depriving the people of entire communities from food and medicine, which caused a serious threat to all those who has chronic diseases. Also, pregnant women suffer the early abortion. A number of children were born and infected with the lack of acute malnutrition and some of them have died so the families were forced to eat plants and pets. The report documented the death of not less than 558 individuals due to the siege in 14 besieged areas, that are still under siege till now, 552 amongst which were at the hand of government forces and 6 civilians at the hand of ISIS. According to the report that government forces besieged 11 areas in Syria, while there are 2 areas exposed to joint siege by government forces and ISIS, in addition to one area which exposed to Syrian Democratic Forces( mainly Democratic Union Party, Kurdish Workers party branch). The report pointed out that the besieged regions exposed to what the regions which are not besieged and out of the regime’s control are exposed to such as bombardment, snipers, targeting using poisonous gases in addition to cluster munitions and barrel bombs as it exposed to not less than 70 attacks using chemical weapons by the government forces while government helicopter dropped not less than 8264 barrel bombs on the besieged areas. The report recorded the killings of not less than 17145 civilians by the government forces and its allies inside the besieged areas since the beginning of the siege until the moment of making this report. The report presented the fallacies of the United Nations in the siege case, as the reality in the besieged areas highly contradicts the statistics introduced in the General Secretary report, it is less than three times. Moreover, the areas under siege by the Syrian regime are suffering more than the besieged areas by other parties which it is mainly shown through the bombardment and daily killings processes as well as destruction and massacres. The report emphasized that there is a lack of equity in the distribution of food aid, where the areas under the control of the Syrian regime take not less than 90% of the total of the aids and this rate was bigger in the previous years. Furthermore, the Syrian regime still requires obtaining its consent to enter the aid to the regions that are besieged and bombarded them and this is an awful paradox. The report stated that the Syrian regime and ISIS have starkly violated the Humanitarian International Law through exposed the systematic siege of areas which mount to war crime with all its conditions, and assured that the Syrian regime, without any doubt, has violated the resolutions of the security council regarding the siege like the resolution No.2139 which issued on 22 February 2014 and the resolution No.2268 which issued in 22 February 2016, in addition to all resolutions between them (resolution No.2165 which issued on 14 July 2014, the resolution No. 2191 which issued 17 December 2014 and the resolution No. 2258 which issued on 18 December 2015). The report recommended the United Nations to open comprehensive investigation regarding these allegations and accusations. In the case that the findings of the investigations proved that there was deliberate falsification or incompetency, then it should be publicized and those who were responsible must be held accountable. We urge that this investigation should be launched immediately as the UN credibility have been in doubt for years. It also demanded the Security Council to apply the resolutions regarding convey of humanitarian aids and to break the siege (the resolutions 2139, 2165, 2191, 2254, 2258) as they are not apply yet. SNHR called on the secretary of the UN to present a detailed report concerning the besieged areas and their population, how the aids are being distributed and to what areas the aids are being delivered. The report has to published as soon as possible to inform the Syrian community about the details. 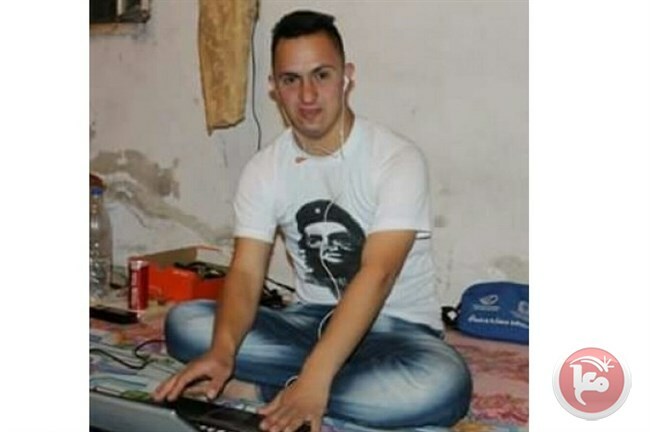 HEBRON (Ma’an) — A young Palestinian man died on Sunday evening after succumbing to wounds he sustained when Israeli forces shot him during clashes in his hometown of Sair in the southern occupied West Bank, his family told Ma’an.Arif Jaradat, 21, who had Down Syndrome, was shot by Israeli soldiers with a live bullet to his back on May 4 when clashes erupted after Israeli forces stormed the Ras al-Aroud area of Sair in Hebron.Ma’an reported at the time that Jaradat had sustained “moderate” injuries, and was taken to al-Ahli Hospital in Hebron city for treatment.The Jaradat family said on Sunday that his funeral would be held on Monday at the “martyrs” cemetery in Sair.Jaradat is one of more than 200 Palestinians, including at least a dozen residents of Sair, to be killed by Israeli forces or settlers since October, many of whom were killed while carrying out individual attacks on Israeli military and settlers, while others died during clashes or unconfirmed circumstances.The Hebron district in particular grew as a flashpoint during the unrest, and the Israeli military has shut down movement in large portions of the district, including Sair. Many restrictions have since been lifted but sporadic closures continue. Israeli forces have come under repeated criticism for excessive use of force as well as lethal methods of crowd control that often result in death or injury of protesters. Rival Palestinian groups Fatah and Hamas have traded blame for the failure of Doha-hosted talks aimed at implementing a 2014 reconciliation agreement. “The Doha talks showed that Hamas was not yet ready for national unity and political partnership,” Fatah spokesman Osama al-Qawasmi told Anadolu Agency on Saturday. He claimed that Hamas movement only cares for resolving the group’s financial difficulties. “What Hamas has proposed in Doha was only meant to obstruct dialogue and undermine efforts aimed at healing rifts,” he said, giving no further details about the content of Hamas’ proposals during the talks. Hamas spokesman Sami Abu Zuhri, for his part, blamed Fatah for the failure of the Doha talks. He said Fatah group, which is led by Palestinian President Mahmoud Abbas, has pulled back on promises to “revive the Palestinian Legislative Council (parliament) and resolve the problem of Gaza employees, who have no paid for months. “Fatah insists on imposing the platform of the Palestine Liberation Organization (PLO), which is rejected by Hamas,” he said. In April of 2014, Hamas and Fatah signed a long-awaited reconciliation agreement that called for the formation of a Palestinian unity government tasked with overseeing Palestinian legislative and presidential polls. Although the unity government was unveiled two months later, it has yet to take on a governing role in the Hamas-run Gaza Strip, while the relationship between the two factions remains beset by a host of longstanding differences. Representatives of the two rival groups held a series of meetings in Doha in an effort to discuss means of implementing the agreement, but no breakthrough has been made. 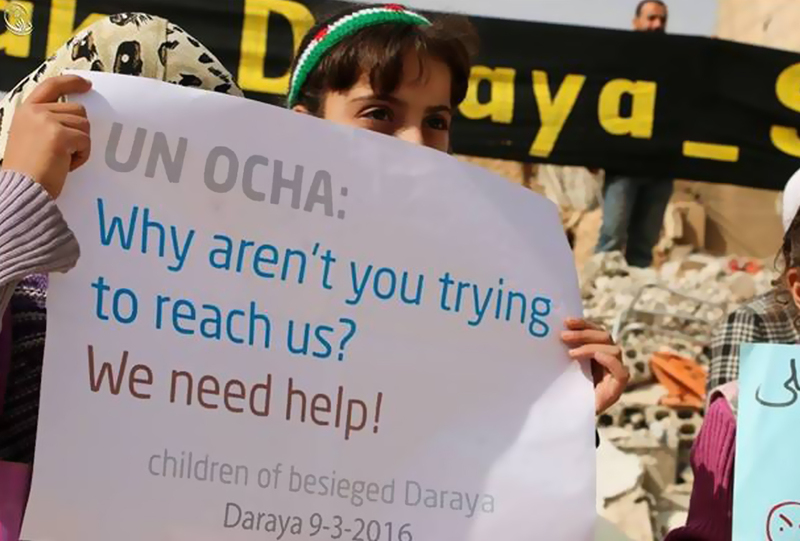 DAMASCUS, (PIC)– Palestinian popular committees and groups have said that the Syrian military authorities do not allow the Palestinian refugee living in their territory to travel outside the country without paying large sums of money. In a statement, those committees and groups explained that each Palestinian refugee, has to pay more than 50,000 Syrian pounds as well as bribes in order to receive a military service deferment and a travel permit. Both the Syrian citizens and the Palestinian refugees cannot travel before they receive a temporary exemption for four months from compulsory military service, according to a diktat issued by the recruiting administration of the Syrian regime. According to activists, military police officers and armed men loyal to the regime of Bashar al-Asad deployed at checkpoints outside Damascus recently arrested several Palestinian and Syrian young men who did not have military service deferments. Jeddah- Leader of the fourth military district Brig.Gen Ahmad Saif revealed that weapons used by Houthi and pro-Saleh militias (armed militants supporting ousted President Ali Abdullah Saleh) are the same stock content offered by the U.S. in its mission to fight terrorism in Yemen. The artillery was deployed at the time when Saleh was still in term, ruling Yemen. The U.S. administration aimed at supporting the mission on forming counter-terrorism units in Yemen. After delivery, the arms were stockpiled in Sana’a as to become of use once the counter-terrorism units are established, Brg.Gen. Saif told Asharq Al Awsat newspaper. Brig. Saif added that the arms are estimated to be worth 500-million dollars, and most military officials were left unaware off, until the guns showed up in the battles. Houthis, exploiting the artillery, randomly started using them first against civilians and later on against the Yemeni army. The guns are notably modern and developed. In their alliance with the ousted President, Houthi militias took over the 500-million-dollar stash of weapons. The first usage of the high-caliber weaponry was noted at the fourth military district located south of Yemen. However, Yemeni military sources from all across frontiers have reported that the arms are gradually showing up in most battles. Moreover, Brig. Gen. Saif pointed out that other than the acquired collection of U.S.- arms, Houthis are using a wide array of weapons. Anti-tank missiles (ATM) , Russian arms and modern day 12.7 caliber snipers are appearing in the insurgency’s hands during battles. Nevertheless Brig. Gen. Saif confirmed that the perseverance of Yemen’s national army will not seize. Supported by the Popular Resistance, pro-legitimacy forces will continue with accomplishing victories and progress as to restore Yemen, Brig.Saif said.